TORONTO Blackberry (BBRY) said Friday that it will lay off 40 percent of its workforce, or 4,500 employees, the clearest sign yet that the troubled mobile technology company has lost the smartphone race to industry rivals such as Samsung and Apple (AAPL). Blackberry's shares dropped 19 percent to $8.50 after reopening for trading. Shares had been halted pending the news. Blackberry for sale -- anybody interested? 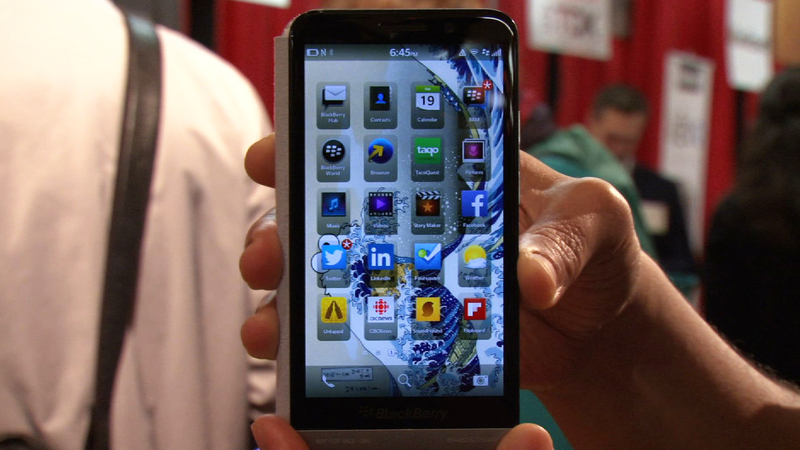 BlackBerry had been scheduled to release earnings next week. But the Canadian company said late Friday afternoon it expects a loss of about $950 million to $995 million for the quarter, including a massive inventory charge due to increasing market competition. BlackBerry said it wants to slash operating costs in half by the first quarter of 2015 so cutting its global headcount to 7,000 total employees is necessary. "We are implementing the difficult, but necessary operational changes announced today to address our position in a maturing and more competitive industry, and to drive the company toward profitability," Thorsten Heins, President and CEO of BlackBerry, said in a statement. The BlackBerry, pioneered in 1999, was the dominant smartphone for on-the-go business people and other customers before Apple debuted the iPhone in 2007. Since then, BlackBerry Ltd. has been hammered by competition from the iPhone as well as Android-based rivals like Samsung. Blackberry's share of the smartphone operating system has shrunk to a meager 2.9 percent, according to research firm IDC. That compares with more than 79 percent for Google's Android platform and 13.2 percent for Apple's iOS software. BlackBerry said last month that it would consider selling itself. The Waterloo, Ontario-based company reiterated Friday that a special committee of its board of directors continues to evaluate all options. It also seemed to say that it would shift its focus back to competing mainly for the business customers most loyal to its brand. "Going forward, we plan to refocus our offering on our end-to-end solution of hardware, software and services for enterprises and the productive, professional end user," said Heins. "This puts us squarely on target with the customers that helped build BlackBerry into the leading brand today for enterprise security, manageability and reliability."